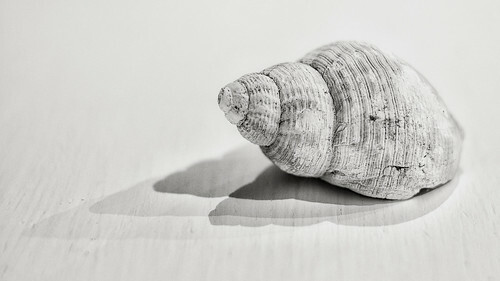 Shell Shadows, a photo by Dan Horton-Szar on Flickr. Don't you just love this photo? I do. The shadows are so perfect. I wonder whether it was carefully planned or whether the photographer spotted the gorgeous shadows and took the opportunity to take a lovely picture. Also when I think about it this actually looks more like a beautiful pencil drawing than a photograph. Amazing work. Hope you all have a wonderful weekend whatever you have planned. Oh wow, that is beautiful! Have you seen the incredible portraits drawn with just a finger on a computer-the Morgan Freeman one was insane! Love this! Yes I did see that Morgan Freeman one. It completely blew me away!